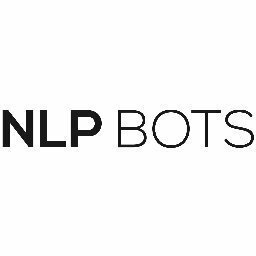 NLPBOTS help employees with their queries on HR Policies and benefits, manages the transactions such as payroll, leave applications, reimbursements, claims, Learning and Developments etc. It helps the enterprise to get feedback and measure employee happiness through surveys and notifications. Employees can also transact with department/role specific data. Octane AI is an easy way to create a bot and engage your customers and audience via messaging. Software platform for chatbots, social media, and intelligent personal assistants. The unique and agnostic chatbot builder solution to create and grow intelligent conversational agents. Payjo builds smart conversational banking products based on state-of-the-art Artificial Intelligence (AI) and Natural Language Processing (NLP) technology to make banking operations strikingly efficient and economical. The Personetics Anywhere chatbot provides financial institutions a quick way to deliver a rich personalized digital experience to millions of users that don't necessarily use the bank's web or mobile apps. It allows banks to deploy a chatbot solution that can quickly respond to customer requests and deliver timely insights and advice in a conversational medium that customers are familiar and comfortable with. Learning with each new interaction with dialogues that maintain the naturalness of human conversations. Content is constantly created and improved by a virtual brain in conjunction with the most experienced team of knowledge engineers in Portuguese. The virtual brain is always evolving. If it still can not resolve, you can direct the entire conversation history for a human operator to continue the service. Pypestream is conversational AI built for scale. Built to usher the customer-centric enterprise into the digital age with “always-on” automation. No more inefficient chatbots, no more embarrassing NPS scores and no more cobbling together technologies from multiple vendors. Elevate your customer experience with a full-stack platform, military-grade security, and the only patented B2C messaging carrier purpose-built to handle any volume. This is what the digital age demands. That’s why powerhouses like SlingTV and Shell trust Pypestream. Made with ❤️ in NYC. RaCom was created in order to offer a well-trained eCommerce chatbot which can serve customers and offer a smoother shopping experience. Rebotify is an online bot platform to build chat bots. First-responder AI-powered chatbot for Customer Service. SiteHeart is an application that helps online shop owners liaise with customers and manage financial activities such as online payments. Give your customers the individualized service and support they expect. Increase average order value with media-rich engagement and gather insights to successfully retarget lost customers. The simple problems sometimes cause the biggest headaches. Report issues, find information, request access or new assets, ensure system or resource functionality, pull reports, and more, all without tying up support staff resources. Give time back to reps so they meet customer expectations and deliver memorable selling experiences. Get managers pipeline info when it changes or someone asks. Make your CRM investment make sense. Give agents more time to receive, process, and respond to service requests. Get managers the info they need to monitor and understand ticket volume, agent performance, and resolution times. Make your support software investment make sense. SmatBot is a ChatBot that can be installed on your website to chat with visitors, get lead information and share it with your team in real time. Many companies using SmatBot generated 100+ leads every week. It can also be used as automated chat support to answer FAQs, interactive landing pages, conducting surveys, collecting feedback and many more. SupportBot, a chatbot for MSP and IT service providers to help improve customer experience and reduce time and cost. AI powers for customer service agents to provide faster, smarter responses. 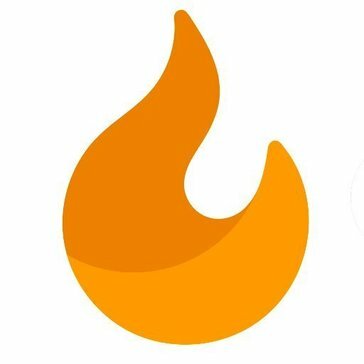 ultimate.ai's deep learning artificial intelligence technology works in partnership with agents, learning from historical chat data to provide reply suggestions in real time. ultimate.ai learns from agent behaviours and grows in accuracy. Ultimately, the most common questions in customer service are fully automated, freeing agents to focus on what really matters: the customer. Builds epic, hyper-personalized chatbots that engage and convert. A natural language and conversational marketing experts. Ultra Hal Assistant is an artificial intelligence conversation simulator that is capable of being a digital secretary and companion. The Unymira Knowledge Bot, named Botty, offers the ideal chatbot experience for customers. Botty is easy to set up and can integrate directly into Knowledge Center or into your existing knowledge base ensuring that anyone who interacts with him will have the access to the latest knowledge articles. Verascape offers a suite of cloud-based IVR and Chatbot self-service solutions across all customer communication channels including phone, automated chat, SMS, Facebook Messenger, smart speakers, and other emerging channels. VIM Bots is a complete solution to build, manage and optimize chatbots for your AP Team processes. Canadian Virtual Gurus is a virtual assistant company that specializes in providing virtual assistants for businesses that need office support without the additional costs and training of full time employees. VirtualSpirits offers automatic chat and live chat software that helps businesses to convert visitors into leads and customers. Vizir is a web application that allows you to create chatbots with autonomous logic that automate complex tasks normally performed by humans. Simple Messenger-based Ordering Chatbot for your restaurant. Make ordering clear and convenient for both your customers and the staff. Free Demo, Free Trial. Yekaliva.ai is a complete end-to-end platform that helps you to CREATE, TRAIN, TEST, INTEGRATE Conversational Chatbot to Automate your Business process.